I just finished reading Henry James’ Daisy Miller (1878) and once I’d finished the story itself I flicked on to read the appended essay that was included in my Penguin English Library edition. The first thing that caught my eye was the description, or should I say classification, of the story as a ‘nouvelle’. 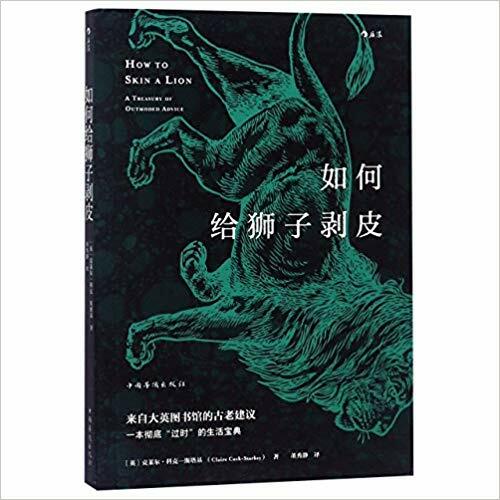 In English this is a variety of short story which rather than concerning the supernatural or fantastic involves a realistic narrative or anecdote. It is, in effect, like news (hence the naming of it nouvelle). 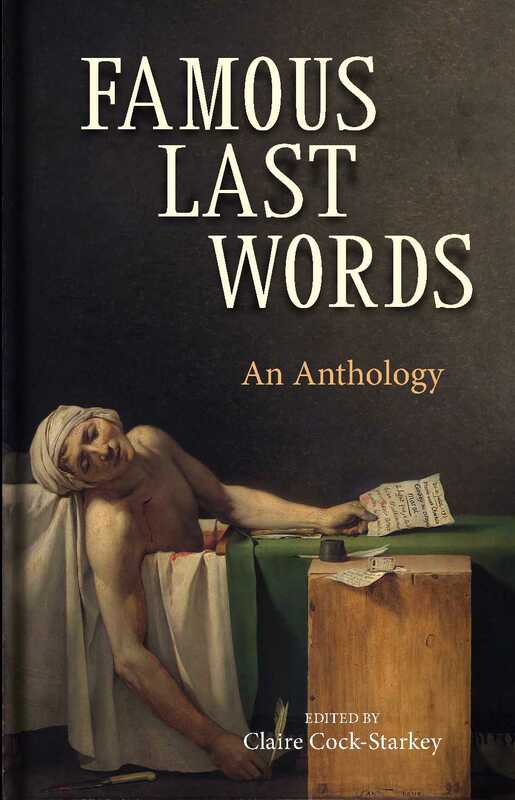 In the French tradition of short stories there has been no direct translation for ‘short story’ as an all-encompassing term, instead they use nouvelle to mean realistic short stories, and conte to mean a fantastical short story (although there is some debate about the exact classifications, see here for more). This word comes from the French tradition of oral story-telling (deriving from the French verb conter, meaning ‘to recount’). Most commonly it relates to fairy-tales and adventure stories which are shorter in length than a novel. Examples include Charles Perrault’s Contes de ma mère l’oye or Tales of Mother Goose. Flash fiction is a relatively modern phenomena and now numerous competitions in the genre abound. The idea is to write a very short story in less than 1,000 words, keeping it short and punchy. A short story which is shorter than a novella (therefore less than 17,500 words) and is generally of a romantic or sentimental subject matter. Naturally due to the inherent snobbery of the literary world this unfortunately means it is often used in a patronising or derogatory fashion. This can rather unhelpfully be characterised as longer than a short story but shorter than a novel. The word novella derives from the Italian word for new. Novellas are generally thought to be more realistic in style and might concern just one incident or be confined to just a couple of main characters. In general novellas do not include chapters nor complicated side-plots. The Science Fiction and Fantasy Writers of America Nebula Awards for science fiction define the novella as having a word count of 17,500 to 40,000 words. Examples of novella include The Turn of the Screw by Henry James, Breakfast at Tiffany’s by Truman Capote and A Christmas Carol by Charles Dickens. As with any discussion on the definition or classification of something as nebulous as writing disagreements abound. This is just my take on what I have read on the subject but I’d love to hear your thoughts on these classifications and if you have any to add please do leave a comment. If you enjoyed this post do check out my books for more on books, libraries, words and arcane history. Writing often seems like a tortuous process, we tend to picture novelists hopped up on coffee, hunched over their laptops staring into space while their creative muse torments and then deserts them. However some writers subvert that image by churning out a book in the time it takes most people to get round to writing their shopping list. Ian Fleming was on holiday in Jamaica in January 1952 and, growing bored of spear-fishing and over-thinking his impending marriage, he decided he needed something to occupy his idle hands. Fleming sat down at the typewriter and began to write, dashing off 2,000 words every morning, until by 18 March the manuscript was finished. Fleming had no faith in his ‘adolescent tripe’ but fortunately for Bond fans everywhere, publishers thought differently and Casino Royale was published in April 1953, introducing the public to James Bond and marking the start a 14-book series. Fleming stuck to his writing routine and most of his later Bond books were also written in under two months. When Birdsong writer, Sebastian Faulks took on Fleming’s mantle to pen Bond continuation novel Devil May Care in 2008 he too decided to adopt the speed-writing technique. Faulks’ previous book Human Traces had taken him 5 years to complete, so copying Fleming’s strict 2,000 word a day method was quite a departure. William Faulkner wrote his fifth novel As I Lay Dying over the course of six weeks while he worked the night shift at a power plant. Faulkner would start writing at midnight and finish as 4 a.m. the words tumbling neatly into place. So confident was he in his writing technique that he claimed he never changed one word from his first draft, despite the fact that the 59 chapters are narrated by 15 different characters. Rider Haggard wrote King Solomon’ Mines in just 6 weeks after his brother bet him he could not write a book as good as Robert Louis Stevenson’s Treasure Island. Haggard proved his brother wrong as his novel became an instant bestseller and inspired many others to pen books in the new ‘lost world’ genre. Despite the speed at which it was written, King Solomon’s Mines retains an aura of reality as Haggard had lived and travelled in Africa for many years and as a consequence had ample source material in his memory banks. King Solomon’s Mines was a huge success (although not as much as his next book She (1887) which went on to sell over 83 million copies) and part of its popularity can perhaps be traced back to the astoundingly good early reviews. 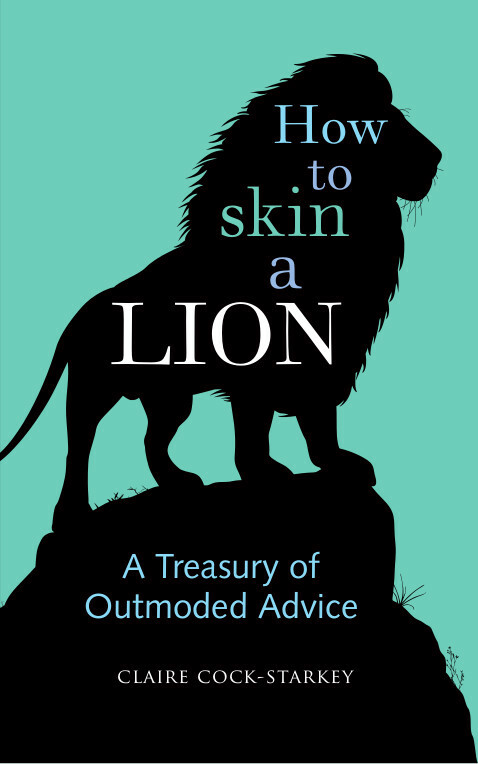 Some 20 gushing reviews of the book were published anonymously in the press on publication in 1885 and it was only many years later that it emerged that they had all been written by Haggard’s good friend, Andrew Lang. Charles Dickens was a prolific writer and he was used to keeping to tight deadlines because his books were published weekly in serial form in Victorian magazines, however he excelled himself with A Christmas Carol, completing the work in about 6 weeks. Dickens started writing the story in October and worked intensely, occasionally taking breaks at night for a stroll through the streets of London, before finishing it at the end of November. The book was an immediate festive success and has since spawned numerous stage plays, movies and musicals, proving the enduring popularity of Mr Scrooge. Although Kerouac spent a number of years formulating the ideas for On the Road, both in his head and in his journals, the complete draft was typed out in a manic three weeks. Kerouac liked to type fast and hated to be interrupted to change the paper in his typewriter, so before he started typing out his work he taped together numerous sheets of paper to create a continuous roll 120-feet long. This original manuscript is today preserved at the University of Indiana. Anthony Burgess’s brilliantly dark dystopian novel A Clockwork Orange was written in 1962. Burgess liked to claim he wrote it in just three weeks, motivated only by money. The novel was hugely influential, a fact which was magnified by Stanley Kubrick’s film adaptation. Burgess himself did not approve of Kubrick’s film (he was especially annoyed that Kubrick ignored his final chapter) and referred to it dismissively as ‘Clockwork Marmalade’. Although Burgess was best known for A Clockwork Orange he wrote a great number of other works over his career, ranging from nonfiction to plays, essays, poems and biographies. Burgess came to writing late in life after originally working as a teacher. At the age of 40 Burgess was given just one year to live after being diagnosed with a brain tumour so he began writing to try and leave some money for his wife. The diagnosis turned out to be wrong and Burgess continued to live and write until a different cancer (this time of the lung) really did finish him off aged 76. Belgian writer Georges Simenon was extremely prolific, penning over 500 novels during his career, but he was best-known for his beloved detective Maigret. Simenon was an incredibly fast writer and could produce 6 to 8,000 words in one day and on average he would complete a novel in just 11 days. To continue to be so prolific Simenon stuck to a strict writing schedule, fuelled by pots of coffee, numerous tobacco pipes and wearing the same shirt for the entire period it took to compose the latest book. After the death of his mother, lexicographer Samuel Johnson needed to pay for funeral expenses, and in order to do so he did what every good writer would do – he wrote a book. Johnson sat and wrote every night for a week (no doubt taking the odd break to weep over his lost mother) until he had a completed novel. The resulting book Rasselas was Johnson’s only novel but proved to be successful enough to pay for his mother’s funeral. Stevenson had long had the idea of writing a story based on the idea of a split personality but had been unable to find the right setting. Legend has it that Stevenson, desperately ill with tuberculosis and drugged out of his mind on medicinal cocaine fell into a drug-addled sleep in which the story of Dr Jekyll and Mr Hyde came to him. On waking he sat at his desk and in 3 feverish days wrote out the first draft. His wife, Fanny, on reading the completed manuscript thought it was drivel and threw it into the fire, causing poor Stevenson to spend another feverish 3 days re-writing the manuscript once again. Thankfully this version was kept from the flames and went on to be a great success, finally allowing Stevenson to pay off his debts. Original manuscripts by authors are usually highly-prized and are often gifted to national libraries or universities associated with the novelist, however unfortunately over half of Stevenson’s manuscripts have been lost. Descendants of Stevenson in need of some cash after World War I, sold most of his manuscripts including Treasure Island and The Black Arrow which have sadly never resurfaced. When John Boyne came up with the idea of his holocaust-based story The Boy in the Striped Pyjamas he was so inspired he sat down and wrote it out, barely stopping for food, drink or sleep. At the end of two and a half days Boyne was done. The Irish novelist had already written a number of other books but took a rather more sedate four weeks to complete those first drafts, however he said that with The Boy in the Striped Pyjamas the story just poured out of him. 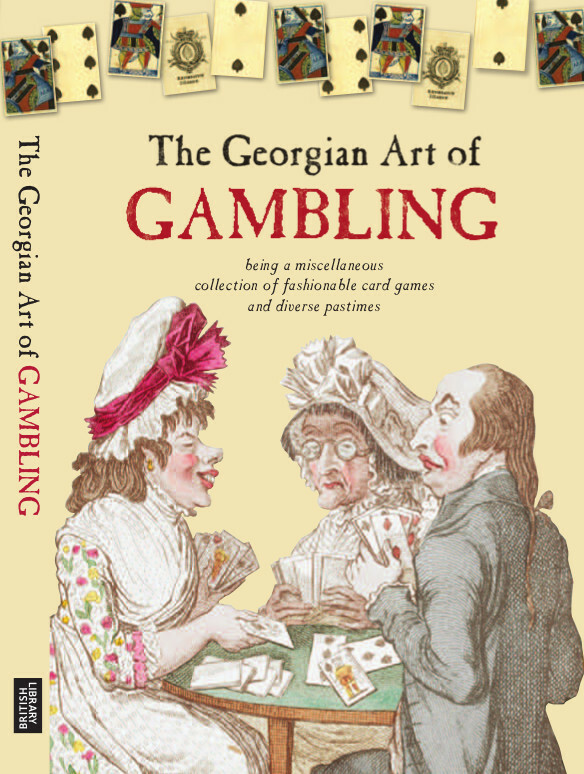 The book has since been made into a multi-award winning film. If you enjoyed this post please check out my books, such as The Book Lovers’ Miscellany for more on books, writers and writing. 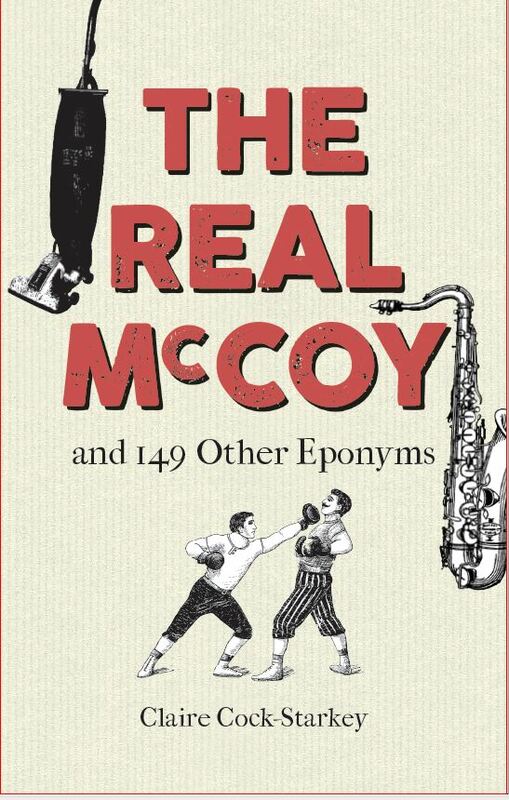 It is with great excitement that I announce my next book: The Real McCoy and 149 Other Eponyms. 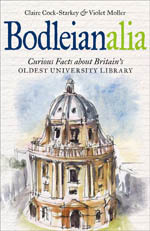 You can read more about it here in the latest catalogue for Bodleian Library Publishing and you can pre-order a copy here. The Real McCoy will be out in October 2018. Ever since I could coordinate my hands enough to clutch a book, my nose has been buried inside one. Some of my happiest childhood memories are of the long summer holidays when my sister and I were let loose in the children’s section of the library at the college where my father worked. I remember spending hours, sprawled on beanbags, poring over picture books, letting my imagination roam freely. As I got older I ventured into chapter books but found my first true love in the form of the French comic books featuring Asterix and Tintin. I loved the humour of the Asterix books and was sucked in by the fantastic plots of Tintin’s many adventures. Throughout my childhood I returned to my Tintin collection over and over, I must have read each book hundreds of times, never tiring of the detail, the excitement or the intrigue. It gladdens my heart that my children are now enjoying the now rather dog-eared remnants of my Tintin library. Sharing books I loved as a child with my own children has become such a pleasure. First the classic picture books, such as The Tiger Who Came to Tea, Meg & Mog and The Very Hungry Caterpillar – the words and illustrations so familiar, transporting me back to my five-year-old self. Then moving on to more complex reads as the children get older, enjoying the suspense and excitement of good children’s literature all over again. My nine-year-old is a chip off the old block when it comes to books, never happier than when lying on his bed enjoying a good read. It has been such a joy to share more of my childhood books with him as he gets older and also to discover new books together. I have especially enjoyed reading him my copy of Philip Pullman’s Ruby in the Smoke – a wonderful Victorian-set mystery – which has allowed me to experience these books in a new light, seeing them through my son’s eyes. As I moved into teenagerdom I was nothing if not an eclectic reader, enjoying both the literary delights of Victorian Gothic and the more earthy delights of Jilly Cooper’s Riders. Every birthday and Christmas I requested book tokens, which I would amass with glee and set off for Blackwell’s, Oxford’s most famous bookshop, where I would take my time selecting books for my ever-growing ‘To Be Read’ pile. One of my seminal teenage texts was S. E. Hinton’s The Outsiders. The book transported me from my rather staid Oxford middle-class life into the American world of greasers and socs. The characters of Pony-Boy, Soda-pop and Johnny so vividly drawn I almost felt I knew them myself, although in truth they were characters far removed from my actual peers. I remember fighting to read the words through my tears when Johnny exhorts Pony-boy to ‘Stay gold’. My teenage years also saw the start of my obsession with the Brontës. I devoured their collective works and then further stoked my admiration for them by reading Lyn Reid Banks’ wonderful fictionalised account of their lives, The Dark Quartet. The escapism I found in their novels, with their strongly drawn female characters, helped me muddle through my teenage years and cemented the role of books in my life as a respite from reality. Into my adult life books have remained central to my life – when I first met my future husband I gave him a fairly hefty reading list as I was so keen to share my favourite books with my now favourite person (and full credit to him, he happily read every book I slung his way and twenty years later remains my most frequent book-share buddy). Books have a way of associating themselves with a certain time in my life. My carefree twenties working in London was a golden time for reading as I had an epic hour and a half commute from my home in south London to my job in north London. The perils of riding the underground while reading a good book are legion. It was during this time I first discovered the joys of John Irving and the perils of trying to suppress my guffaws while on public transport (tip: always have a tissue handy when reading John Irving, you will invariably need it to either dry some tears or pantomime blowing your nose as you try and disguise the snort of laughter with a faux coughing fit). I also associate this period with reading James Ellroy – getting so drawn into the intrigue of American Tabloid that I forgot to get off the tube at my stop and I actually gasped aloud when the twist of LA Confidential was revealed, much to the bafflement of my fellow passengers. Reading associations are not always happy. I read a lot less during my early thirties as I was in the thick of child-rearing. My one reading opportunity was as I struggled to get my limpet-like daughter to detach from me and go to sleep. I sat for hours in a dim room, straining my eyes as I ploughed through John Galsworthy’s The Forsyth Saga, hoping my daughter would fall into a deep enough sleep to allow me to peel her from me and escape. I’m not sure if the frustration of this period has coloured my perception but that book became more of a chore than a pleasure. For the past decade or more books have been not just my chief pleasure but also my job. Although I dream of one day writing a novel, non-fiction is my genre and I love nothing more than spending hours in the library researching my next book. In my writing career my magpie-like nature and eye for a quirky story has served me well and I am constantly reading everything from the news, blogs, literature, history books, opinion pieces – searching out curious tales, interesting histories or amusing lists to use in a book or article. smorgasbord of bibliophilic delights – writing potted histories on ink, paper, book binding, comics and quills. Curating lists of best-selling books, writers who were rejected multiple times, the most prolific writers, the oldest writers to be published first time and the most influential books of all time. And telling the stories behind Penguin paperbacks, dust jackets, Mills & Boon and the Detection Club. Writing and researching The Book Lovers’ Miscellany was like writing a love letter to books, writers, writing and reading. It is a celebration and a culmination of all the many hours I have had my nose buried in a book and I really hope it will delight my fellow bookworms, reminding us all how much pleasure we can take from a humble book. The Book Lovers’ Miscellany is out 29 September 2017 and is available to order here. | If you want to encourage your kids to read check out this great post with tips on encouraging reluctant readers. When meeting new people there is always a question I dread. The most innocuous of polite questions: ‘What do you do?’ The reason I dread it? The reasons are legion. When I say I am a writer some people get quite excited. However, when I explain I write non-fiction the conversation falters, their face visibly falling as they realise I am not J. K. Rowling. Fiction has a gloss that non-fiction does not, people aspire to write fiction, people understand fiction, people want to meet glossy, aspirational fiction writers. Alas, that is not me. So when I ruin the tone by mentioning the ‘non’ word, the conversation generally returns to the weather. I really struggle to sum up my niche. 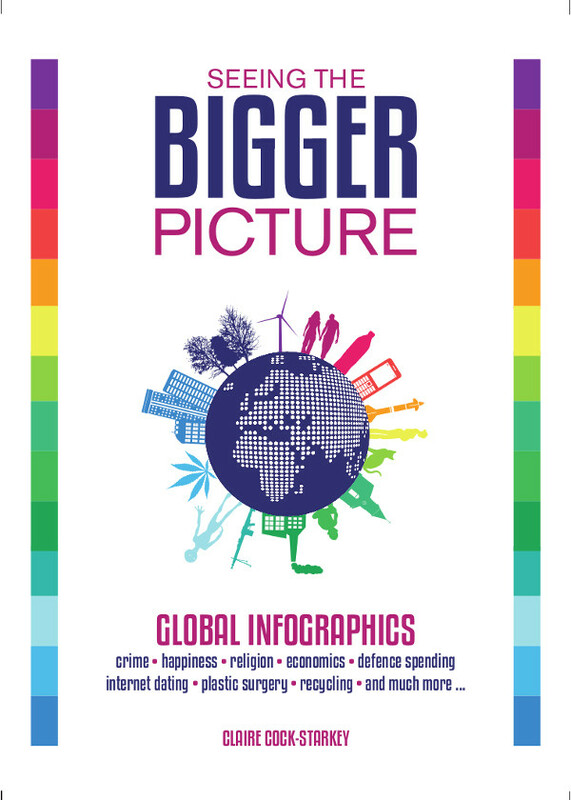 Non-fiction is such a huge genre, ranging from academic textbooks, through self-help bibles and narrative non-fiction, to biography. If I wrote in a neat sub-genre it might be easier, but explaining my books in one easy sentence is no mean feat. I usually resort to describing them as ‘gift books’ or worse, books you read on the loo (which when I’m feeling crass I might call ‘shiterature’). But really that doesn’t characterise what I do, it makes it sound too easy, like I just pluck any old thing off the internet, when in fact most of my books are the result of hours of research in the library. I think the problem is I always try and sum up my diverse body of work in a tidy blurb, which inevitably fails. I think from now on I am just going to describe the book I am currently working on, instead of trying to squash my work into a genre which doesn’t exist. I often find myself on the receiving end of some extremely patronising comments, usually from men or older people. Just this weekend I was chatting to a friend’s mum who I had not seen for a number of years. She said she’d heard I wrote books and summed it up with: ‘So you just collect together some trivia and then publish it’ and then added ‘It’s lucky your husband has a proper job so you can pay the bills’. I didn’t have the energy to explain the planning, research, thought and hard work that goes into every book. The pitches to publishers, the rejections, the revisions, the edits on the long road to publication. Sometimes I think if I were a man and I said I was a writer it would be different. People would perhaps instantly picture someone of substance, writing a serious book. I accept that some of the problem lies with myself, I am naturally self-depreciating and as I mentioned in point 2, I do struggle to describe what I do in a short sentence. However, there are many occasions where I feel like people react to me differently because I am a woman, especially a woman with three children. It’s as if the fact that I have kids instantly makes any endeavour a sideline to my actual real job of ‘being a parent’. That writing is just something I do with my spare time while waiting for my children to get home from school, not a real job at all. I write quite a lot of articles for Mental Floss, often fun lists such as 6 of the World’s Most Mysterious Standing Stones or 5 of the Shortest Reigns in History. Readers often track me down on Twitter to berate me for my ignorance. Irate reader: ‘You didn’t include the mystic stone of Slough [not an actual stone] in your list of mysterious stones!’ Me: ‘That is because I only had room to do six, the article is not called ‘The Definitive List of All Mysterious Standing Stones Ever’ but ‘6 of the World’s Most Mysterious Standing Stones’. Reader: ‘Yes, but the mystic stone of Slough is clearly the most important mystic stone ever! You don’t know anything, the whole article is now null and void.’ Me: block. It’s like this at parties. 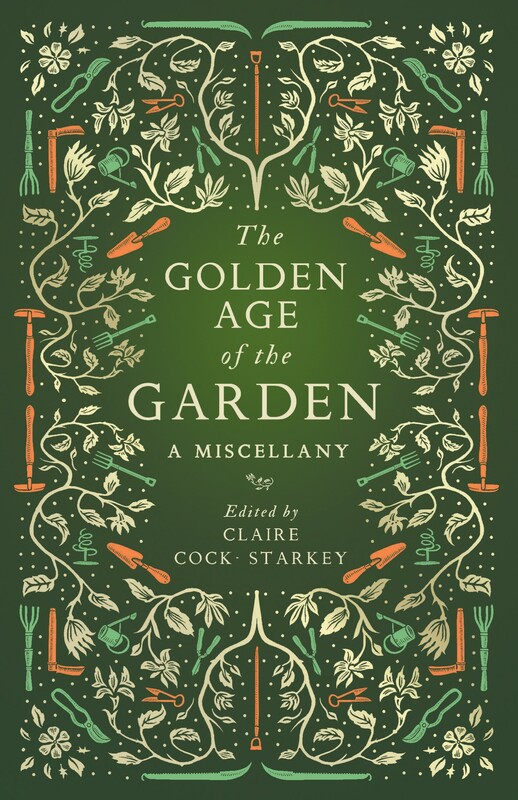 I might say I am writing a book about the Golden Age of the Garden and the person I am speaking to will then talk to me at length about that time they went to Chatsworth and fell in the fountain. Or I might say I am writing about the history of the Bodleian Library and I’ll get an anecdote about their time as a student at Oxford. Obviously it’s lovely to hear people’s personal stories but sometimes it feel like people don’t expect me to actually know anything about my subject. If I were an accountant or a doctor or a hairdresser people would instantly have a picture in their mind of what my job entails. Say writer and people imagine a fiction writer. Say non-fiction writer and the frame of reference is lost. Saying all this I have recently discovered that being a writer is actually a real job. A friend asked me to sign the back of her photos for her passport. I expressed doubts that I was eligible, after all I think you have to be a professional to qualify. My friend threw caution to the wind and got me to do it anyway, and in the space where I had to put profession, I wrote ‘writer’. Two weeks later she got her new passport and with that I realised at least someone, somewhere thought I had a real job. On 11 February I was thrilled to be included in an edition of Leigh Chamber‘s Bookmark on Cambridge 105, alongside the author Tom Connolly. You can listen here as we discuss research, inspiration and writing non-fiction.